Eden Hazard has revealed that he has made a decision on his Chelsea future. Will he stay or will he go? Eden Hazard has been linked with a move away from Chelsea since the day he signed. His dream is to play for Real Madrid, Zinedine Zidane being in charge at the Santiago Bernabeu for several years certainly didn’t help our cause. 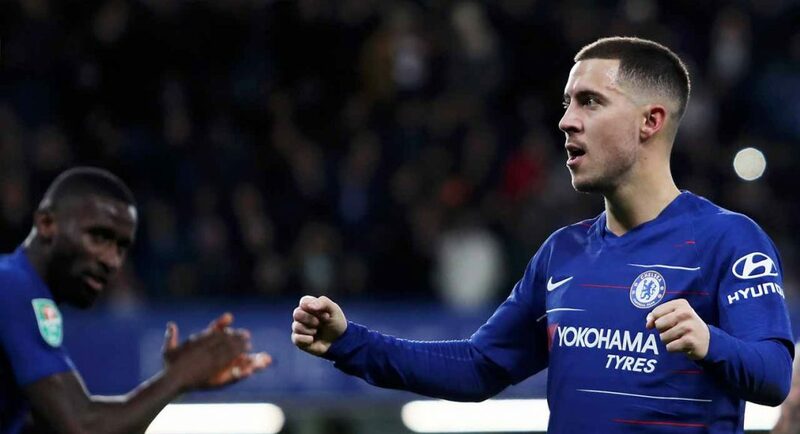 Hazard now has less than 18 months remaining on his Chelsea contract. One of the most valuable sportsmen on the planet can move on a free while still at the peak of his powers. That’s a very dangerous situation for us. He can’t be teasing the fans who have given him so much. We need an answer as soon as possible so that Maurizio Sarri can start planning for the future. Let us know your thoughts on this story in the comments section! I am not sure he should be airing these discussions keep them to your self, you are not bigger than CFC. Just more diplomacy and respect required. ffs Eden, stop faffing about and let us and the club know one way or the other. I would hate to see him leave, but this is death by a thousand cuts. He should be telling early what he has made decision publicly. Because it is almost difficult to replace him, and chelsea need time and money to find the right replacement or else we will be in big trouble.